Home / LAZARUS A.D. release first single, “The Ultimate Sacrifice”! 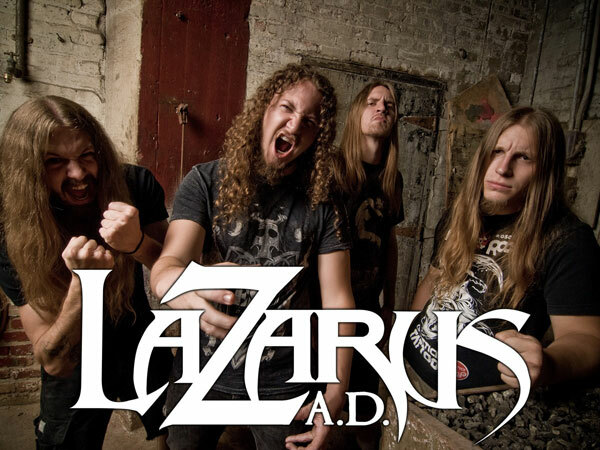 AGOURA HILLS, Calif. – December 14, 2010 – Midwest thrashers LAZARUS A.D. have released their first single, The Ultimate Sacrifice, via myspace and youtube after having premiered exclusively this past week on SiriusXM’s Liquid Metal. The highly anticipated album, Black Rivers Flow, was recorded in July and August 2010 at Belle City Sound with Chris Djuricic and was mixed and mastered by James Murphy at Safehouse Production. The Ultimate Sacrifice can be heard now on metalblade.com/lazarusad with pre-order packages coming soon!